We are delighted to welcome mystery author Jacqueline T. Lynch to Omnimystery News today, courtesy of Cozy Mystery Books Tours, which is coordinating her current book tour. We encourage you to visit all of the participating host sites; you can find her schedule here. Jacqueline is the author of a cozy mystery series, the first entry of which is Cadmium Yellow, Blood Red (Jacqueline T. Lynch, March 2011 ebook formats). The second book is Speak Out Before You Die (Jacqueline T. Lynch, August 2012 trade paperback and ebook formats). We recently had the opportunity to discuss the series with her. 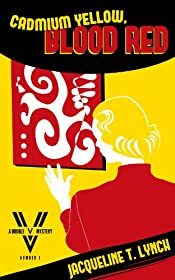 Omnimystery News: Cadmium Yellow, Blood Red introduces what would seem on the surface to be a mismatched pair of amateur sleuths, a museum administrator and an ex-con. What can you tell us about them? Jacqueline T. Lynch: The relationship between my two main characters, Juliet Van Allen and Elmer Vartanian, is intended to be a kind of subplot to the mysteries, another mystery. They come from different worlds, were thrown together by tragic circumstances in the first book, form a partnership out of self-preservation, and then as the books progress, they come to rely more on each other to solve crimes in the books that follow. Their developing relationship, its ups and downs, interests me just as much as the current puzzle they're working on, and I hope it will interest the reader, too. OMN: Why did you choose to write a cozy mystery series? JTL: I am fond of the cozy market as a reader, and as a writer, I find the fans of cozy mysteries have such a wide range of personal interests that the possibilities for plot, setting, and characters are really endless. OMN: Tell us about the setting for the books. JTL: Hartford, Connecticut in 1949 is the setting for Cadmium Yellow, Blood Red, and the settings use the streets and neighborhoods, and the Wadsworth Atheneum art museum, which are factual. I did take liberties describing an elaborate exurcsion into the museum through an air vent, and the description of some offices there are my own invention. The galleries and paintings described are factual. Juliet's apartment and the Van Allen mansion are fictional. I am familiar with all of the locations used in the books, have been there, or make further research trips when I need to, which is always fun. OMN: You write several blogs, including one about New England travels — research for your books, no doubt! — and another about old movies. Does any of the latter find its way into your books? JTL: I love watching old movies. The mood of some of the old Film Noir movies certainly influence me, but no one particular movie gave me the inspiration to write this book or this series. 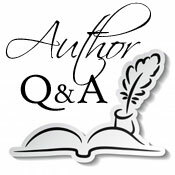 OMN: What kinds of questions do you get from readers? JTL: Some readers ask me when the main characters, Juliet and Elmer, are going to get together romantically. I get a kick out of that. They likely will sometimes, but they're both very stubborn. They both have a lot of emotional baggage to deal with first. JTL: I'm working on the third series in the Double V Mystery series (V is for the characters' surnames: Van Allen and Vartanian). This one is to be called Dismount and Murder, and will be set in the Litchfield hills of Connecticut at a prestigious horse show. Jacqueline T. Lynch has had several plays published and produced around the U.S., Canada, and the Netherlands. Her one-act play In Memory of Trixie Gazelle was chosen as a winner in the 2010 Nor'Eastern Playwright's Showcase of the Vermont Actors' Repertory Theatre in Rutland, Vermont, and another, One Good Turn, premiered as a winner of the 2011 Northern Kentucky University Y.E.S. Festival. She has published articles and short fiction in regional and national publications, writes Another Old Movie Blog and New England Travels, and Tragedy and Comedy in New England blogs. To learn more about the author and her work, please visit her website at JacquelineTLynch.com or find her on Facebook and Twitter. Juliet, the rebellious only daughter of a wealthy financier, and Elmer, a lower-class ex-convict who has educated himself in prison, learn to rely on each other. Juliet is Elmer's guide to a post-world that has changed so much since he entered prison. He feels guilty for having missed his daughter's childhood, for being safe when friends were killed in World War II, and is bewildered over atomic energy, Modern Art, ballpoint pens, and frozen orange juice concentrate. Juliet is not sure she believes Elmer's story. Elmer is not sure she didn't kill her husband. They are compelled to work together, dogged by the scandal-monger newsman, the shrewd police detective, and scrutinized by the even more judgmental eye of Hartford's elite in world where Modern Art meets old-fashioned murder.